Our pioneering E6 programme at Portsmouth College is a six strand initiative made up of courses, training and experiences that focus on developing your soft skills in preparation for life after college. These opportunities will provide you with a pathway in readiness for securing employment, an apprenticeship or a place in higher education. As part of our E6 programme, we are very lucky to work closely with our partnership organization, Unloc, to offer an exciting course for those young budding entrepreneurs with their own business idea. The Unloc Enterprise Academy provides the students with essential business knowledge and entrepreneurial skills and students can work alongside expert mentors and other entrepreneurs to get their idea up and running. This phased programme is designed to develop an underpinning knowledge of business through our initial 12 week course, followed by the opportunity to setup a personal enterprise through the business accelerator scheme. We have seen several students successfully set up their own business and continue to work with Unloc in the development of these after partaking in this course. Unloc also have a Young Innovators Hub within the college, which is a free work space for young entrepreneurs to base themselves whilst setting up and running their businesses. During your time at college you will have the opportunity to develop soft skills such as time management, teamwork, communication, self-motivation, leadership, problem solving and decision making through a range of employability workshops. These workshops will be delivered once a week for 45 minutes over a 6 week duration in the first half term. This course will focus on topics such as time management and study skills, teamwork and problem solving, networking and communication, mental health and wellbeing, positive self talk and confidence with a range of Personal Development, Behaviour & Welfare activities. Why do soft skills matter? Soft skills relate to how you work with others and employers value transferable professional skills as they enable you to perform in organisations. The workplace is an interpersonal space where relationships must be built and fostered to ensure you function and thrive in teams. The experience strand provides students with the skills to enhance future career aspirations. Work experience placements provide our students with the opportunity to differentiate themselves from others. Local business and organisations provide exciting and beneficial placements for the students, this ensures that they have knowledge and experience of their chosen career path. The experience strand is built into the academic timetable which allows us to provide flexible & substantial placements. Want the chance to take part in the world renowned charity aimed at transforming the lives of young people in the UK. 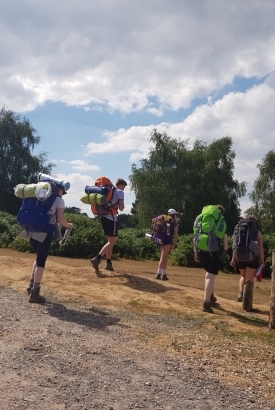 Portsmouth College gives you the chance to embark on a Bronze, Silver or Gold award, all of which allow you to experience a range of sessions and experiences, from volunteering to physical activities, life skills to expeditions. Achieving a DofE Award is a passport to a brighter future, valued by employers and universities. All of this is accompanied by the opportunity to make new friends and to do things that you may only get one chance to do. Do you have what it takes to step in and offer potentially life saving help? Or is a career in the uniformed services what you aspire to? Or would you just like to gain new skills and have fun along the way? If so our First Aid course is for you. Spread over two days you will be instructed by industry experts, on the fundamentals of emergency first aid. You will have the chance to put your knowledge to the test with several ‘real life’ simulations, and scenarios. Successful completion of this course will also earn you a fully accredited First Aid certificate that will be valid for three years. Do you wake up in the morning head straight to the shower and sing your heart out? So you sing along to your music in the car? If so Portsmouth College’s very own Rock Choir needs you! 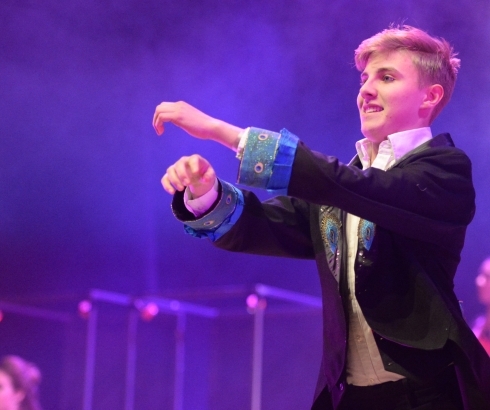 chance to perform at College open evenings and events, and even the chance to appear on the Guildhall stage alongside many other talented acts. Portsmouth College has a rich history of success within this nationwide dance competition, and this is your chance to get involved. When the theme is chosen, the experience becomes student led and executed, with help and guidance from highly skilled dance teachers. You will be expected to rehearse once, twice or sometimes even three times a week (closer to the competition), in order to achieve a highly polished routine. Even if dance isn’t your thing, a piece just isn’t a piece without high drama and skilled actors. Not to mention the technical staff that make the whole thing possible. So if you have creative flare, a passion for dance or drama, come along and sign up. You Speak is the course for you. Tailored by a company of experts the You Speak program empowers you to find your voice, improve your communication skills by putting them into action through the art of debating. You will have the chance to engage in debates around hot and controversial topics, refine your skills and prepare yourself for articulating your ideas throughout your life. Thinking of a career in the forces or uniformed services? Time to fall in and sign up to the Combined Cadet Force. Attend weekly parades and learn skills that include teamwork and communication. This is a sure fire way to make your CV more attractive for the recruiters. You will be expected to carry out tasks that will prepare you for your future career, and that benefit your study throughout your college life. The CCF is open to all students no matter what course you are on, or where you want to go in the future. So come along and give it a go, you never know you may just find your calling! If you undertake an EPQ, you will have the chance to take on your own independent study project, in a field of your choice. Receive support from dedicated tutors, and even have the chance to get your work recognised by the University’s you are applying for. An EPQ is highly regarded by Higher Education establishments and can even lower the grades you need to get an offer. Want to join in with our internationally recognised and renowned Hinglish course? Hinglish is a great opportunity to learn a new language or brush up on skills you may already have. Hinglish is a twelve week introductory course where you will learn about how the language is used within business, communicate and interact in the local language of India and you will get an insight into working in the fast growing Indian economy. This course looks great on any CV and will bolster your chances of impressing, either when looking for employment or progressing to an apprenticeship or higher education. Want some extra study support? Or could you help other students by becoming a mentor? If so, then Portsmouth Scholars is for you. A unique partnership between the University of Portsmouth and Portsmouth College, this is an exciting opportunity for you to improve your study skills and gain great experience for your CV or personal statement. You can request a university or college student mentor to help you with subject-specific study practice and revision, or you can receive training and support to become a mentor yourself. If you’re a first year mentor, you’ll go back to your old school to work with a year 11 student and if you’re in your second year, you’ll support a first year student at college. Mentoring sessions usually take place for an hour a week over the period of about half a term and are available at various times throughout the year. Claudia, the Portsmouth Scholars coordinator is based in the Study Centre, so drop-in for a chat or email portsmouthscholars@port.ac.uk to find out more. Core Maths helps to develop mathematical skills and thinking and such as A-level Business Studies, Economics, Psychology and Geography as well as technical and vocational qualifications. This is an exciting and engaging new Mathematics qualification that sits comfortably between GCSE and A-level, filling a long overlooked gap, equivalent to one AS level. Core Maths will cover maths for personal finance, including student loans, tax and mortgages. You will study critical path analysis which is a widely used project management tool that uses network analysis to help project managers to handle complex and time-sensitive operations. You will also work with data, looking at a number of statistical diagrams and techniques. Work for the College to help inform prospective students, their parents and the local community about life and study here. Or work as an Apple Ambassador to help promote and develop our ‘Big Apple’ iPad mini project. Keeping fit and healthy whilst at college is key for students alongside their academic studies, and what better way to do so than with the extensive range of activities we have on offer. The Exercise strand is split into the Sports Academy & ‘You Can’ Activities. For students with a competitive spark, our Sports Academy teams covering a wide range of sports are for you. You will train and compete for the college. 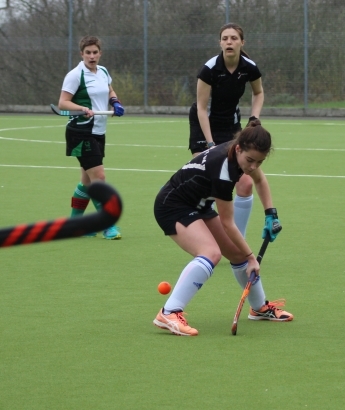 We realise playing in a sports team may not be every students favourite thing to do, and this is where our ‘You Can’ activities come into play. We have a broad range of more relaxed activities for students to try such as; 5 aside football, street dance, 1:1 person training and touch rugby. Explore is an exciting opportunity to be involved in local and worldwide communities. It will help to build awareness & understanding of the implementations of social change by giving back to the community. Explore covers many relevant issues such as mental health, the environment, equality & diversity and cultural awareness. Working in partnership with NCS, The Unloc Leadership Academy, Glo Pro & True Adventures, students will gain valuable experience and transferable skills.